What would you do if you sat down for Bible study today, but you couldn't read your Bible? Not because you couldn't find it or couldn't concentrate on it - you couldn't read it! 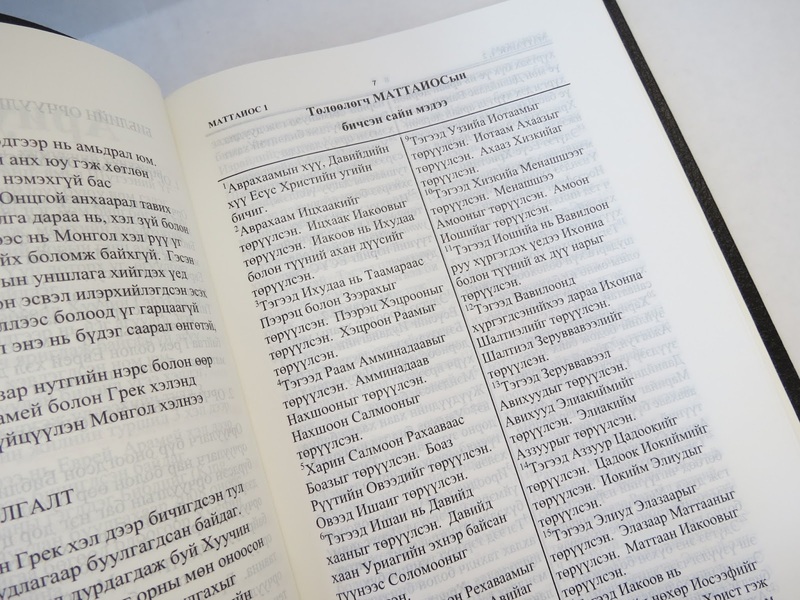 Last week we received the first two parts of the KJV Bible in Mongolian from Danny's parents. They are absolutely beautiful books, and we know how many months and months of work went into translating them. At least that's what we think - because we can't read them! Now I understand what the Mongolians must have felt like before these translations were available. I can guess what the covers say, as I know one is the Pentateuch and the other is the New Testament. And I can assume which book is which because I know the order in my own Bible. Imagine starting from the very beginning. 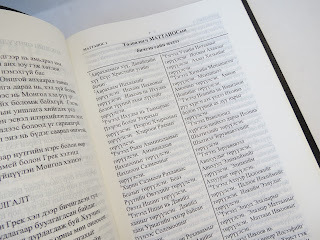 As I do my Bible study today, I think about the Christian Mongolians, now holding the same Word of God that I do. They are reading the same words, learning the same love of the Lord and feeling the same power that I am here in southern Iowa. That's a special feeling and a humbling experience. We are blessed beyond measure to hold the Word in our hands every single day. And the same excitement of people on the other side of the world, those reading it in their own language for the first time, can be just as real in our own hearts. I pray that we will once again find the wonder and joy in learning something new, reading something different and opening our hearts to what God would have us know today.